At the state level, the shift is less prominent but no less important. States are the crucial battleground for a revived American progressivism. On issues as wide-ranging as schools, transit, housing, environmental regulation, homelessness, and incarceration, states are where the action is. Progressives made immense gains in the 2018 elections in my home state of New York. The Independent Democratic Conference, a group of rogue Democrats who allied with the Republicans and who reveled in their ability to taunt progressives over the past eight years, was swept away. Cynical or right-wing incumbent senators—both IDC and Republican—have been replaced by a remarkable, lively, and progressive new freshman class. The first result of this shift was the ascent of Senator Andrea Stewart-Cousins, who represents suburban Westchester County, to the position of Majority Leader. She is the first woman to lead a legislative body in the state. And with her colleague Carl Heastie as Assembly Speaker, this is but the second time in all of American history that both chambers in a state legislature are controlled by African-Americans. No one should expect miracles, but New Yorkers can definitely look forward to steady progress. And yet. Forces on the center-right don’t exactly delight in the rise of this progressive wave. The finance and real estate interests in the Democratic Party still have an overwhelming amount of power and resources, even as they are on the defensive. The organizations that united to defeat the IDC and the Republicans—Citizen Action, DSA, Indivisible, LIPC, Make the Road Action, NoIDC, New York Progressive Action Network, NYCC, True Blue NY and many more—continue to worry traditional pro-corporate centers of power in the state. 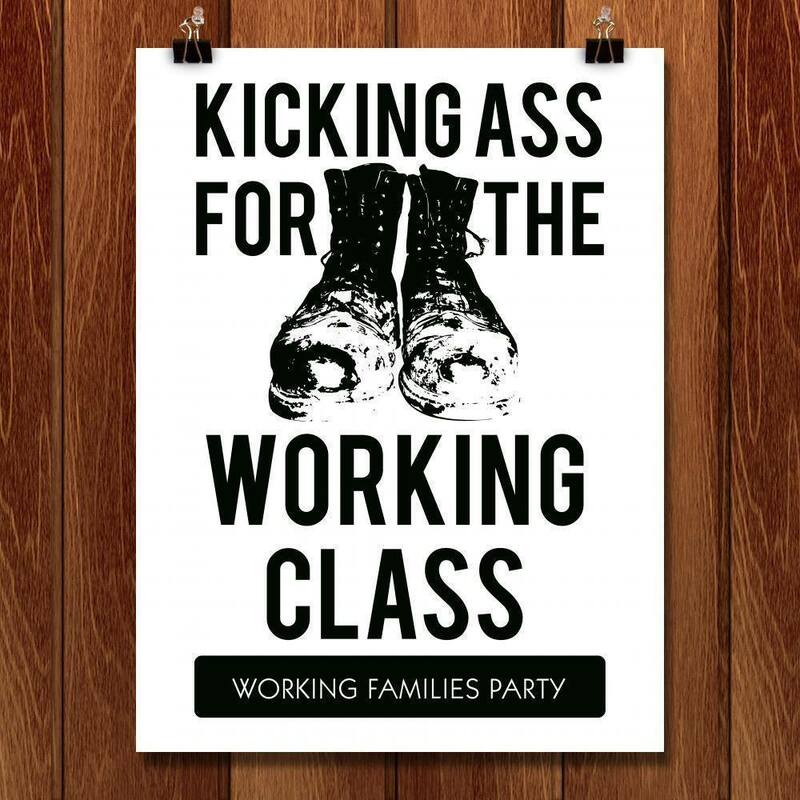 The establishment might even be getting its revenge on New York’s center of resistance: the Working Families Party. The Albany Times-Unionpublished a column about the chances of an effort to destroy the WFP, and now the chair of the Erie County Democratic Party has published an op-ed in the Buffalo News calling for the state to pass a law that would vastly weaken the WFP by outlawing the “fusion” voting system. The irony here is hard to miss. At its founding in 1998, the WFP announced its central electoral goal: to “flip the Senate” from Republican-Conservative to Democrat-Working Families control. Now, with that ambition finally fulfilled, the party faces a threat to its very existence. How is this possible, one might ask? Are the legislators who had the support of the WFP now going to turn around and kill it? Do they somehow discount the WFP’s role in the fights on minimum wage, Rockefeller Drug Law reform, green jobs, the original millionaire’s tax, and earned sick days, to name but a few of the issues championed by the WFP? Actually, from all accounts the proposed ban on fusion has very little support among legislators. But it does have the support of some Democratic County Leaders, and could easily get the backing of NY Governor Andrew Cuomo. If Cuomo chooses to support it, the threat level goes way up. All state governments have their peculiarities. One of the worst features in New York is the balance of power between the governor and the legislature when it comes to the state budget. In short, about a decade ago, the legislature was crippled by a court decision that handed almost tyrannical budgetary power to the governor (Pataki at the time). Today, Cuomo seems to delight in his ability to put anything and everything into the budget, which requires an all-or-nothing, up-or-down vote. It’s not a wise way to run a government, and no other state comes close to this sort of imbalance. But the governor can use this to force the legislature to pass bills that would never see the light of day via the normal committee process. Sooner rather than later, one hopes that leaders Stewart-Cousins and Heastie will redress this imbalance. In the short term, though, Democrats should realize that the existence of a practical, principled minor party on its left has actually accomplished an immense amount of good for the people of the state. They should not, then, fall for phony arguments against the WFP. Democrats in Washington, led by Speaker Pelosi, have put a serious marker down on the expansion of democracy. HR1 is a package aimed at strengthening the rules of the democratic contest, and it’s a welcome reaction to the democracy suppression and predator’s ball regimes of Scott Walker, Mitch McConnell, and their brethren. A healthy democracy requires healthy parties, and the fusion voting system allows third parties, whether on the left or the right, to play a constructive role in the state’s politics. More voices, not fewer voices, make our democracy stronger.